A film festival can be a great way for student filmmakers graduating from film schools to showcase their movie making talents to the public and make a name for themselves. Such movie festivals usually screen independent films from new directors as well as film work from more established filmmakers, providing them with a platform for their work. Film festivals may also bring low-budget movies made independently to the attention of distributors. Even if their films don’t get distribution, attending a festival could generate interest in participants, leading to studio work or funding for their next film. Exposure at a festival can also give a big boost to a budding filmmaker’s career. Thus, having your movie seen as many places as possible is the key. In order to enter a festival, filmmakers must first submit their films to the organizers. This usually requires them to make multiple copies of the finished film on DVD which they will send along with any entry fees. If your film is selected, you may also be required to prepare materials such as press kits and other publicity materials, as well as a print of the film in the required format (i.e. 35mm or 16mm film or NTSC tape). Depending on the type of film you have made, you may also choose to enter more specialized festivals, such as those focusing only on gay and lesbian films or horror and other genre movies. For students, one of the best film festivals to join is Next Frame, which is organized by the University Film and Video Association. Now in its 16th year, Next Frame is open to students from all countries and is sponsored by companies such as Kodak, Avid and American Cinematographer. Also worth noting is the Telluride Film Festival Student Symposium, which allows film majors (although the program is also open to non-film students) to interact with professional filmmakers and other students in an intensive program of film viewing and seminars. Past guest filmmakers have included Ang Lee and George Lucas. 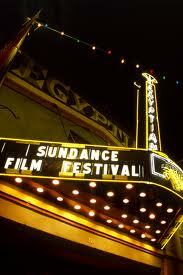 The Sundance Film Festival remains the premiere festival for independent movies; being accepted can help make a filmmaker’s career. Independent filmmakers can submit entries in the dramatic and documentary categories, either feature length or shorts; they can also participate in non-competitive showcases such as New Frontier and Spectrum. Directors who have gotten their start at Sundance include Robert Rodriguez, Steven Soderbergh and Kevin Smith. Don't let these big names discourage you from creating your own movies. Many of these successful directors started with a simple 8mm or 16mm camera when they made their very first motion picture. So why not shop for your own film camera so you can create your own movie and make your dreams come true! This entry was posted on Wednesday, January 1st, 2014 at 10:00 am	and is filed under Bolex Paillard Movie Cameras. You can follow any comments to this post through the RSS 2.0 feed. Both comments and pings are currently closed.